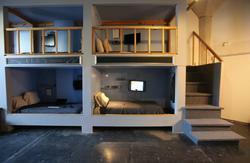 Orange Drive Hostel has the absolute best location in Hollywood! We are just a two minute walk from the world famous Chinese Theater, the Walk of Fame, the Dolby Theater- home of the Oscars, views of the Hollywood sign, public transportation, the best night life, shopping and restaurants in Hollywood. We're a less than a ten minute walk to the famous Sunset Strip and to Runyon Canyon, a favorite hiking trail of celebrities. Orange Drive Hostel is the perfect location for movie Premieres, star Dedications and major Hollywood events! Our newly renovated rooms, patio garden, BBQ area and kitchen are our latest upgrades to make your stay more comfortable. 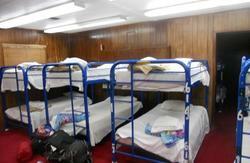 We offer clean, spacious and unique dorm and private rooms. For your safety, our staff are always on the premises and we have a state of the art video security system. 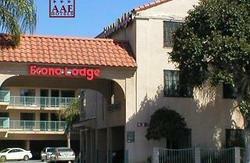 Our expanded breakfast offerings, and free and discounted amenities make us the best place to stay in Hollywood. Free daily breakfast of all-you-can-make pancakes, oatmeal, coffee and tea. Our hostel is known for its old Hollywood glamour, originally a manor home built in the 1920â€™s. It later became a boarding house for some of Hollywoodâ€™s biggest stars including Marilyn Monroe, Gary Cooper, Rita Hayworth, Kim Novak, Douglas Fairbanks Jr, Johnny Weismuller 'Tarzan' and many more. It also played host to many of their friends such as Clark Gable who lived down the street. Our guests stay in a historic home filled with Hollywood History. Take a step back in time and experience old Hollywood glamour. Youâ€™re in Hollywood! And you're at home at Orange Drive Hostel. Open 7:00 am to 3:00 am (rooms are not guaranteed ready until 3:00 pm ) early check in fee may apply before 3:00 pm, if checking in December 24th, 25th, 31st, and during Thanksgiving (November) please email to request holiday hours and make special arrangements. Additional key deposit required. Refundable upon checkout. Please make request if travelling with small children or more than two guests/extra charges may/will apply. Methods of payment accepted: (visa, amex, MasterCard) travelers checks, and cash.